One month ago I wrote a post about writing long blog posts. The title claimed that you could write a 2,000+ word post in 5 minutes. It’s a little crazy. The idea of writing a 2,000+ word post even for professional writers like those at Ghost Blog Writers is challenging and a little terrifying even. That many words requires a good deal of work. The usual way to do it is to break things down into segments. This way you can complete each segment without having to worry about the bigger picture, which can scare you away from the challenge. But it is possible to write a long post in a short period. This morning I found an example. One of my favorite hobbies is golfing. I don’t know how a game that can be so frustrating can be so rewarding at the same time. Golf is not a game a person can master. Watch Tiger Woods on any given Sunday and you might see him hit a shot that your Saturday hackers wouldn’t envy. Golf is a game that tests your mental ability more than any other. The golfers that perform the best are often those that figure out how to hit the best bad shot. That means they know their tendencies for making mistakes and they minimize the poor result. They aim at the biggest part of the green instead of going after the pin. They give themselves the best chance to score by eliminating risk. Even knowing this it’s incredibly difficult to pull it off. Anyway, I’m a golfing nut. I love it. The game is challenging to me. It frustrates me, but I’ll always go back. Because of this mini obsession I today was looking at Golf.com. They have some good stories and blog posts and this morning I noticed they had a great example of a long blog post that probably took just a few minutes to put together. The post – Best and Worst Moments Of 2013 and Looking Forward to 2014 – saw the author reach out to writers for the magazine asking a few questions. Each writer provided their answers and before long the post turned into something interesting, entertaining and incredibly long. I get asked a lot about SEO. Yes, SEO is important. It makes sense to focus on what people are searching for and then providing an answer. But I don’t think this is the only way to write great posts. 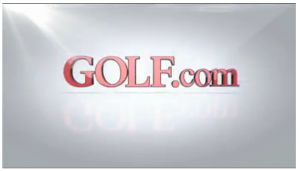 You need posts like this one from Golf.com too. This doesn’t focus on SEO. It focuses on topics that interest people. It grabs interesting information and uses other methods to give it to readers. Readers don’t always know what they want to read. It’s up to writers to create great posts like this one so that we can be surprised, entertained and educated. This is a great post and I just wanted to share an example of it with you because there is nothing stopping you from doing something just like it for your business blog.